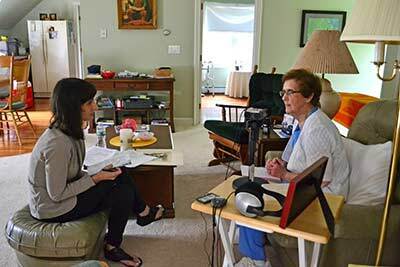 Oral History and Folklife Research assists families in gathering and preserving family history through the use of interviews recorded on audio or video media. The interviews are recorded digitally with small, portable equipment that allows us to conduct high-quality interviews in whatever space is most comfortable, with a minimum of technology intrusion, provided the space is quiet. These interviews, preserved on archival CD’s or other media chosen by the family become a valuable family resource with the narrator’s voice available to speak to younger generations in a way that connects and teaches like no other. Of the many gifts that can be passed to children and grandchildren, few will be as meaningful or as impactful. Few will anchor a family’s legacy more strongly.